Even though The Daily Buzz was canceled two months ago today (not an anniversary to celebrate, of course), I still miss my early mornings in the studio, rapidly writing content and working in the booth. I’ve never been in an environment that asked more of me – physically and mentally – and yet I’ve never loved a job more than my time as a producer. 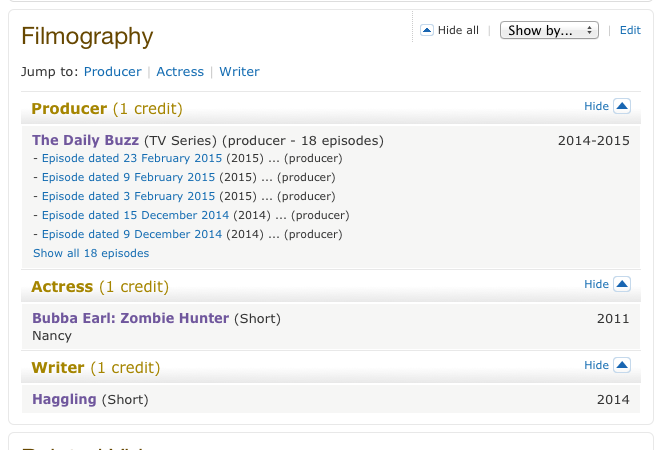 While the show may be gone, I realized a legacy still lives on …via IMDB! I was able to look up the show’s production history on IMDB, and I must admit it was pretty exciting to see my name listed as a producer on the show. Not only did I write/produce for the show, I also served as a fitness model for several segments featuring the talented Fitz Koehler, a fitness guru and all-around awesome woman. Does that make me an actress? Well, per IMDB, it sort of does. 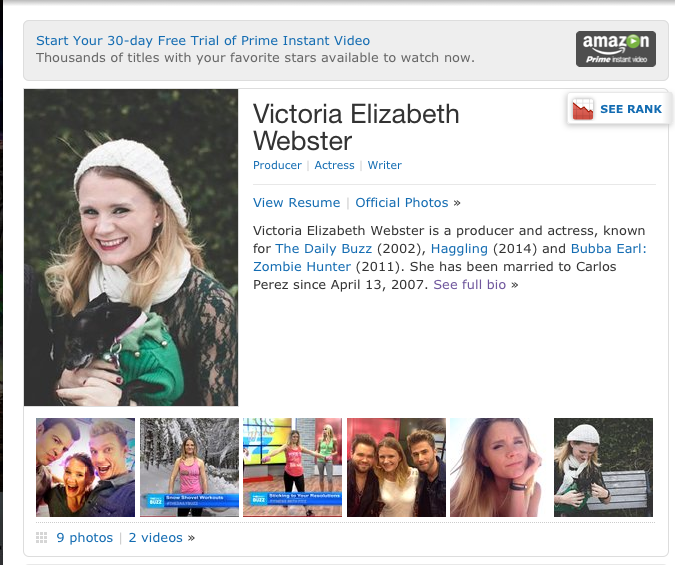 I’ve done more than The Daily Buzz, of course, and I’m glad to see that my produced short film (Haggling) and my formal acting experience (Bubba Earl: Zombie Hunter) both reflect on IMDB, as well.